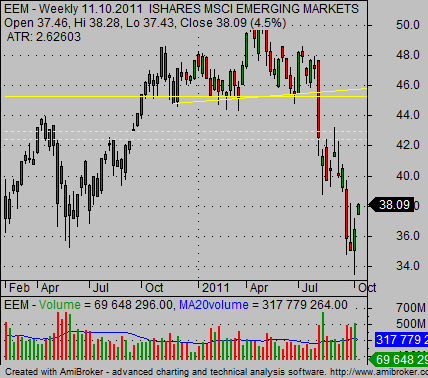 Emerging markets ETF shares represent an option to trade regions with economies that are undergoing big expansion. Countries in Asia, Latin America , Eastern Europe and South Africa are in the process of strong development and their rate of growth is much higher than in developed economies. There is one single developing markets ETF covering all these markets. 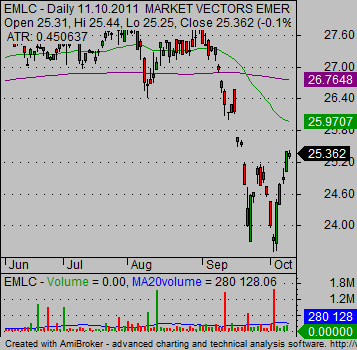 It is the iShares MSCI Emerging Markets Index Fund – symbol EEM. This fund could be used for tracking global performance and the situations of developing countries. It is also possible to use trading or investing strategies expecting a decline in the price of these exchange traded funds. One such decline we saw recently (August and September 2011). 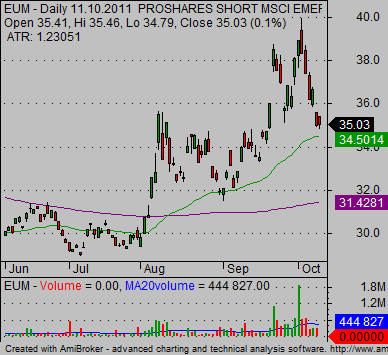 It is possible to trade these declines by short selling of EEM shares mentioned above. But there is also an option to use inverse short and leveraged ETFs for shorting emerging markets. 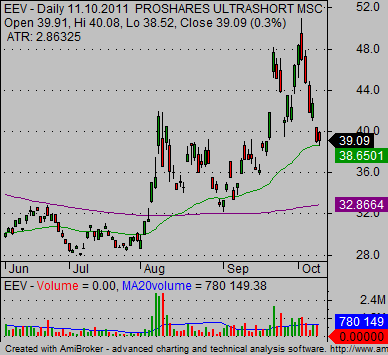 There are two funds offered by ProShares with symbols EEV and EUM. 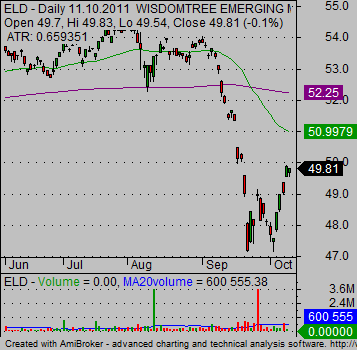 So it is possible to buy these inverse exchange traded funds instead of short sale of EEM. But if you want to hold such a trade for a longer period of time then trading of these leveraged and short ETFs could be more risky than typical shorting of EEM. There are two exchange traded funds that can be used for investing into bonds of these emerging markets. EMLC is a fund investing in bonds issued by emerging market governments and denominated in the local currency of the issuer. ELD is designed to provide exposure to local debt of issuers from a broad range of developing regions and countries. These bond funds provide opportunity to collect nice yield and also performance of local currencies against USD.